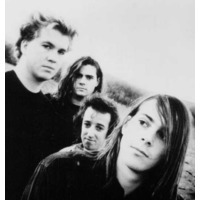 Toad the Wet Sprocket is an American alternative rock band formed in 1986. The band consists of singer/guitarist Glen Phillips, guitarist Todd Nichols, bassist Dean Dinning, and drummer Randy Guss. The band enjoyed chart success in the 1990s with the singles "Walk on the Ocean," "All I Want," "Something's Always Wrong," and "Fall Down," among others. The band broke up in 1998 to pursue other projects but in 2006 began touring the United States as a band in small-venue, short-run tours each summer. In December 2010, the band announced their official reunion as a full-time working band and have started writing songs for their first new studio album since their 1997 Columbia Records release "Coil".